So I was just watching The Conjuring 2 the other night, and as it went on, I started to think, in some ways this is set up a lot like Ghost Watch. At a certain point there's a big plot twist, which don't worry, I won't spoil, but it's basically the end of the second act. So if you've seen the movie, you can probably guess it. Anyway, that had me thinking okay, there's no way James Wan had not seen Ghost Watch; he's totally cribbing from Ghost Watch! Then it occurred to me that these Conjuring movies are based on "true" cases of hauntings, so even though Ghost Watch never credits it, I guess they were both based on the "real" Enfield hauntings. I did a little research, and sure enough not only is the general set-up about the same, but plot twist happened in the real event, so I apologize for just thinking in my head that Mr. Wan might've been cribbing. 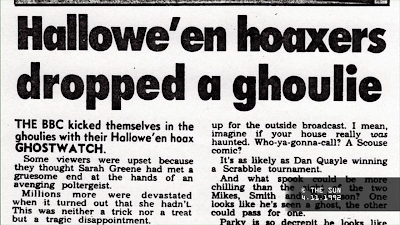 But it's still interesting that Ghost Watch did it first, and I would argue, better. Ghost Watch did a lot of things first, beating all kinds of ghost movies from Grave Encounters to Paranormal Activity to their punches by a couple decades. But in some ways, it's still pretty unique. 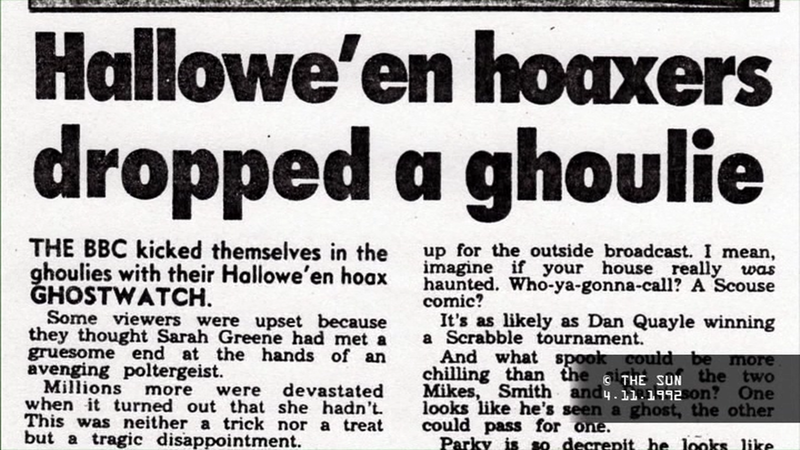 In fact, Ghost Watch is possibly best known for being a War Of the World-style hoax, where a piece of fiction was played like a non-fiction broadcast, in this case on the BBC, and scared a lot of people. According to the materials that came with the film, it was quite serious, including newspaper reports of a teenage boy who supposedly hung himself because of the broadcast. But as with Orson Welles' War Of the Worlds radio play, it's hard not to think that some of this ballyhoo is a bit exaggerated. And while the show had not been repeated since its original broadcast until BFI's 2002 DVD, upon finally seeing it, it plays like more of a spooky but fun Halloween ghost story than a real con. But it is effective on pretty much all levels. 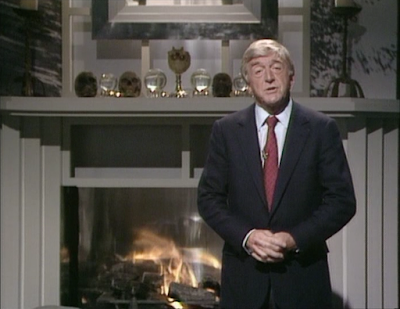 Regular BBC presenter Michael Parkinson cleverly plays himself hosting a somewhat cheesy BBC Halloween television special, where they're going to ghost hunt a supposedly real London haunting live on the air. Some aspects of it are remarkably similar to ghost hunting shows we have today, but this predates most of that sort of thing, having aired in 1992. 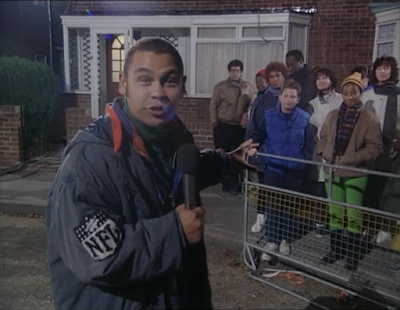 Another frequent BBC host Sarah Greene plays the lead reporter who takes a camera crew to stay the night with a single mother and her two daughters in their supposedly haunted flat, and Red Dwarf's Craig Charles plays an irreverent reporter cynically interviewing trick or treaters out on the street. Naturally, nobody on the show takes the threat of the haunting seriously until the eerie signs of a real supernatural presence start to add up. This is a smart story, which puts it well ahead of most of its haunted house competition. The show has us carefully studying hand held and surveillance footage just like Paranormal Activity would do later. And it's subtle self-parody of the tackier side of BBC programming is much more authentic than Grave Encounters. 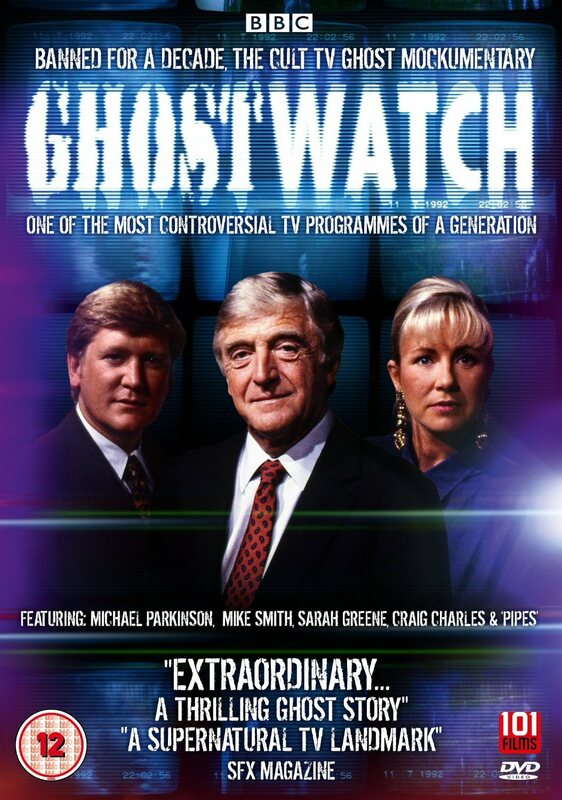 In fact, I think Ghost Watch turned out to be genuinely predictive in that shows like this wound up being genuinely produced years later. And yet this movie knows just when to stop being clever and shift into the dark and serious. 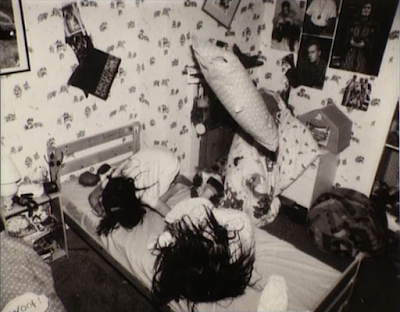 The young girls being terrorized by a grisly poltergeist gets genuinely creepy and unsettling. This film's Mr. Pipes is still a strong rival for Wan's Crooked Man. 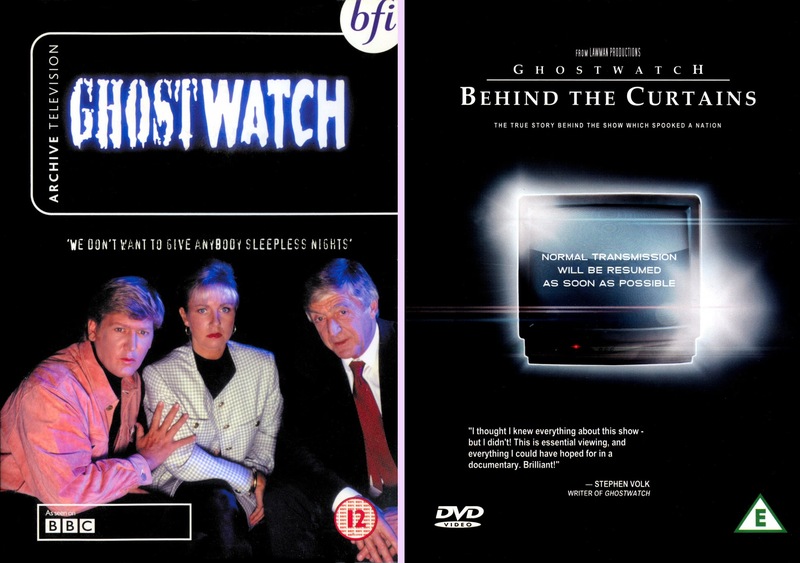 Now, Ghost Watch debuted on DVD from the BFI in 2002, and that's the DVD we're looking at here. It has since been reissued by 101 Films in 2011 [right], and again as a double-pack paired up with Nigel Kneale's excellent ghost story The Stone Tape in 2013. But I'll come back to the 101 Films discs a little later. The important DVD is the original from the BFI. 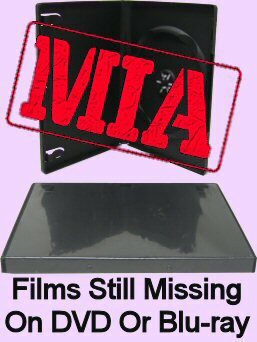 The film is full-screen and sourced from tape. But that's as good as it can get and as good as it should get. It's made to look 100% like an early 90s BBC broadcast, and that's perfectly achieved by being made authentically by the BBC using their own equipment and crew. It's a pretty clear, solid presentation of a video-sourced show, up to BFI's usual standards, with Dolby 2.0 audio; and that's it. And for the record, the 101 Films discs are also fullscreen 4:3, as they should be. 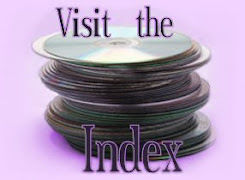 So why avoid the 101 Films discs? Because they're barebones, and the BFI cooked up some excellent features for their original disc. It's a real shame 101 didn't cough up the extra dough to license them, but fortunately, the old BFI disc still seems to be easily and affordably locatable. The center piece of that features package is an audio commentary by director Lesley Manning, writer Stephen Volk and producer Ruth Baumgarten. They have a lot to say because the show's novel premise and format, not to mention the surprising controversy, give them a lot to talk about. So it moves at a steady, informative clip. There's also a featurette called Shooting Reality, which is mostly Manning narrating footage of the original shooting script, behind the scenes photos, letters she received from children about the show, storyboards, etc. It's essentially an addendum to the main commentary to fill in the last few missing bits she wanted to say. So you'll definitely check out both. The DVD also includes an insert with liner notes by Kim Newman, and DVD ROM copies of the show's original treatment, screenplay, and another ghost story written by Volk. Still, somebody thought all of that wasn't enough. Or maybe they just bought the 101 barebones DVD. 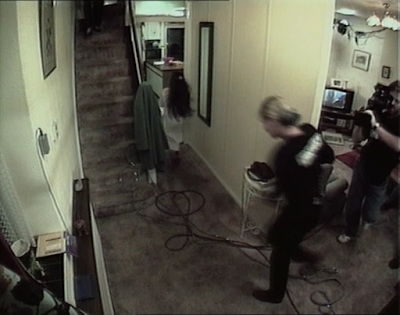 So in 2012, filmmaker Rich Lawden, put together a documentary feature called Ghost Watch: Behind the Curtains, which is quite a thorough history of the 1992 television film. They talk to pretty much everybody, including Manning, Volk and Baumgarten, and all the major stars, including Parkinson, Greene and Charles. They also talk to fans and people who remember the scares raised up by the original broadcast, and even Kim Newman. Any Ghost Watch fan will want to see this, too. And thankfully, it's available on DVD from Lawman productions. It's a nice, anamorphic 16x9 presentation that ironically has much better picture quality than Ghost Watch itself. There aren't any extras except for a trailer for the doc, but I guess you wouldn't expect much for a film that's sort of already a blown up extra. But I noticed they do have a few odds and ends on the filmmakers' youtube channel that would've made nice, little bonuses. Oh well. All of these DVDs are only available on PAL UK discs. I guess distributors figured it wouldn't resonate with audiences unfamiliar with the original hoax-y phenomenon. But I disagree with that; I think it's a great little ghost story that still holds up, especially if you're partial to the BBC's style of ghost stories, i.e. Dead Of Night, Supernatural or their excellent Ghost Stories for Christmas. And the BFI and Lawman discs together make a great little package. Or, if you prefer, the transcripts for Lawden's documentary is available in paperback. Interestingly however, none of looks at Ghost Watch mentioned the Enfield case. 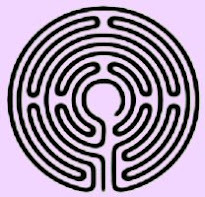 It took the Conjuring 2 to put me onto that. So I'd also have to recommend this to anyone interested in that story, which was also depicted in 1998's Urban Ghost Story, and again by the BBC in their recent 2015 miniseries, The Enfield Haunting starring Timothy Spall. But this Ghost Watch version is definitely a unique and innovative take on the subject matter.